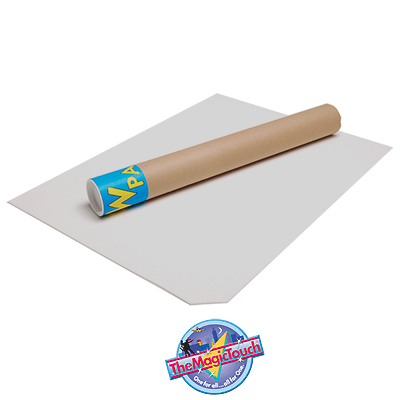 8.5" x 11" LaserMPrints Hard Surface II Transfer Paper - imaging to hard substrates with a smooth surface using a color laser copier or color laser printer and heat press. 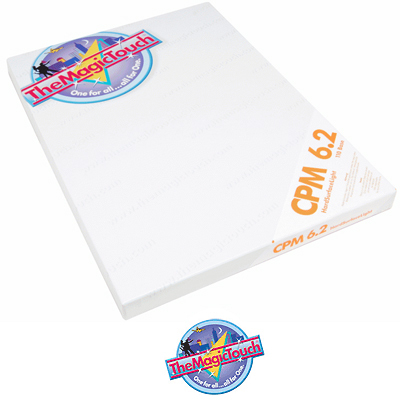 This is a solid film transfer recommended for photo reproductions on substrates. 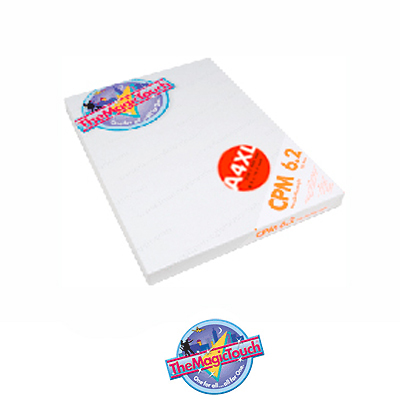 Price per pack of 100 sheets. 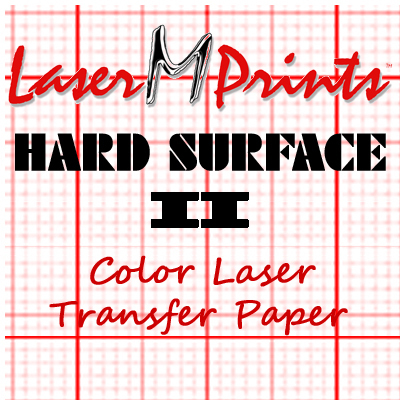 LaserMPrints® Hard Surface I Transfer Paper, 8.5" x 11" (100 sheets). 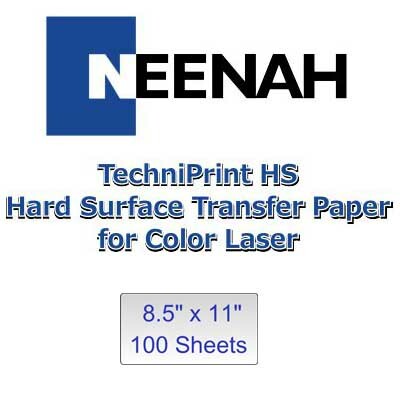 For oil and non-oil based color lasers and copiers. Self Weeding. Foam pad included. Click here for care instructions for garments with transferred images. 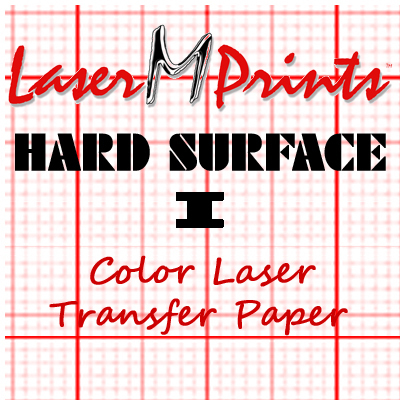 LaserMPrints® Hard Surface I Transfer Paper, 11"x17" (100 sheets). 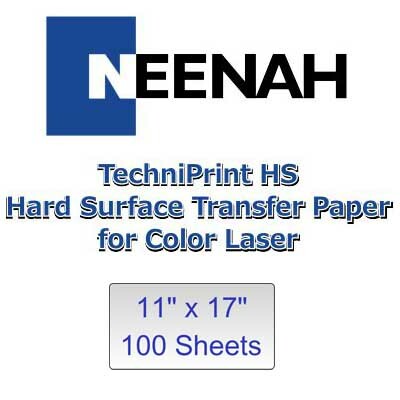 For oil and non-oil based color lasers and copiers. Self Weeding. Foam pad included. Dimensions: 15" x 20" x .0625"